Mondale Events are delighted to be inviting again this year the University of Oxford Purchasing and IT staff to their 2019 Innovation & Technology Annual Exhibition hosted by the University’s Information and Communications Technology Forum (ICTF). 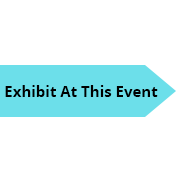 The Exhibition provides an excellent opportunity for both staff and exhibitors to meet and discuss any new developments in their respective areas and to review current requirements. The event is being held in the Examination Schools at the University and refreshments and a finger buffet lunch are available for both staff and exhibitors. The first 100 University staff who pre-register on this site and attend the event will receive a complimentary gift on the day. Please see below for a full listing of exhibitors currently attending and contact us should your organisation wish to participate.